I go out for walks around my neighborhood quite regularly, sometimes multiple times each day. A couple of days ago, something new appeared just down the street from my house. 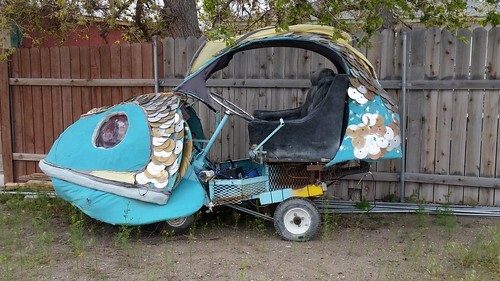 If it weren't for the fact that Fernley is the Gateway to Gerlach and thus to Burning Man, this would a more unusual sight than it actually is, I reckon.